Revive and rejuvenate your skin with the Facial Cleansing Brush from Etereauty. Simply wet the brush, apply cleanser, and massage into your skin to remove dirt and makeup. Rinse and dry after each use. It just takes a minute or two, but it can make a significant difference. Spin for Perfect Skin can remove 97% of bacteria, reduce the size of your pores by one-third, and result in 93% clearer skin. 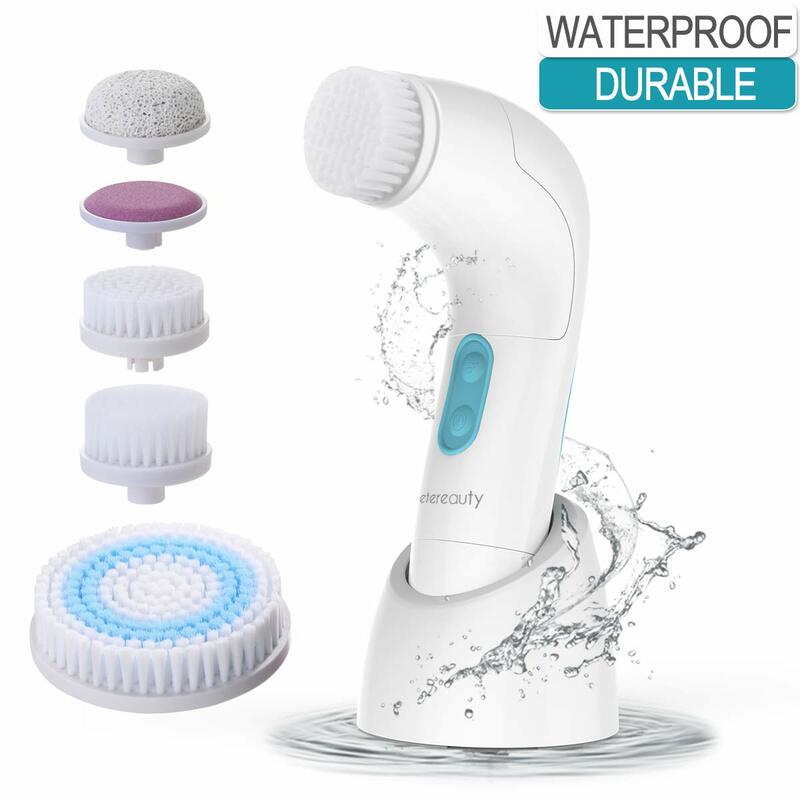 With the ETEREAUTY body and facial cleansing brush, enjoy beauty salon skin care at home.You can give yourself a full spa-quality skin-cleaning treatment any time you want. What can you achieve with face brush? 6. Improved skin appearance through gentle and porous cleansing, especially for removal of make-up. The face cleansing brush kit is small enough to take with you to the gym, to work, on vacation or business trips, so you can always be looking and feeling terrific. 1. Crude polish accessory Crude polish accessory for ripping the tough skin and cutting off..